Join us for an afternoon with B.B. Barns as we hear from horticulturalist Letha Hinman. 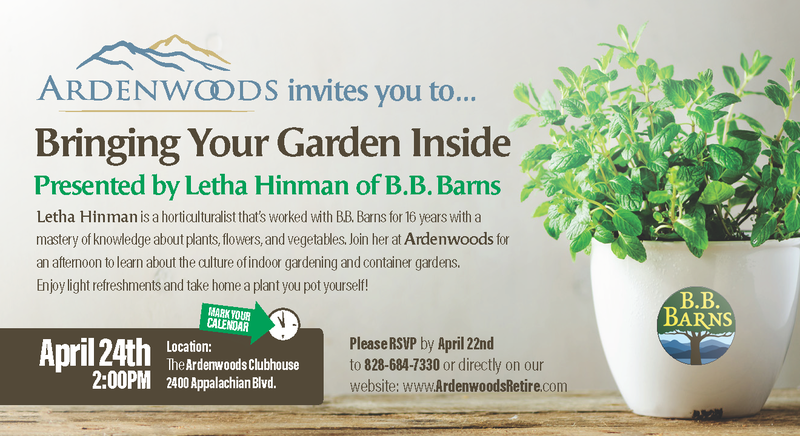 She will share with us many tips and tools needed to bring your garden inside, as well as some tricks for container gardens. After the seminar, we will go hands on and pot our very own plant to take home! Light refreshments will be provided. RSVP by the form below or by calling 828-684-7330!